I really enjoy working here vs. I am really enjoying working here? 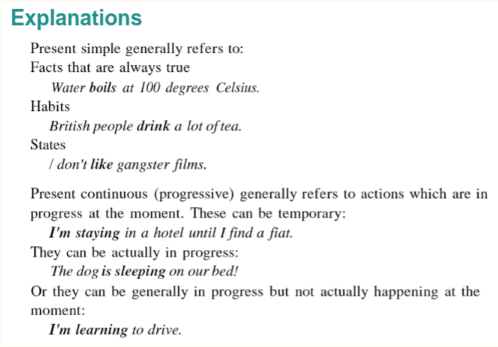 Note: Example taken from Advanced Language Practice with Key by Michael Vince with Peter Sunderland, Present Time, exercise 5 c). Below is the explanation given by the author. The present simple "I ... enjoy working here" is always true. I enjoyed working here when I started, I enjoy it now, I will enjoy it in the future. The company looks after its staff, the building is air-conditioned, the salary is good, the work is interesting. The present continuous "I am ... enjoying working here" is temporarily true. We use it when we are talking about something confined to the present time, loosely defined. I am enjoying working here today, right now, this week, this month, because my boss is away, I have an interesting project, the cafeteria has improved, there is an attractive new colleague.